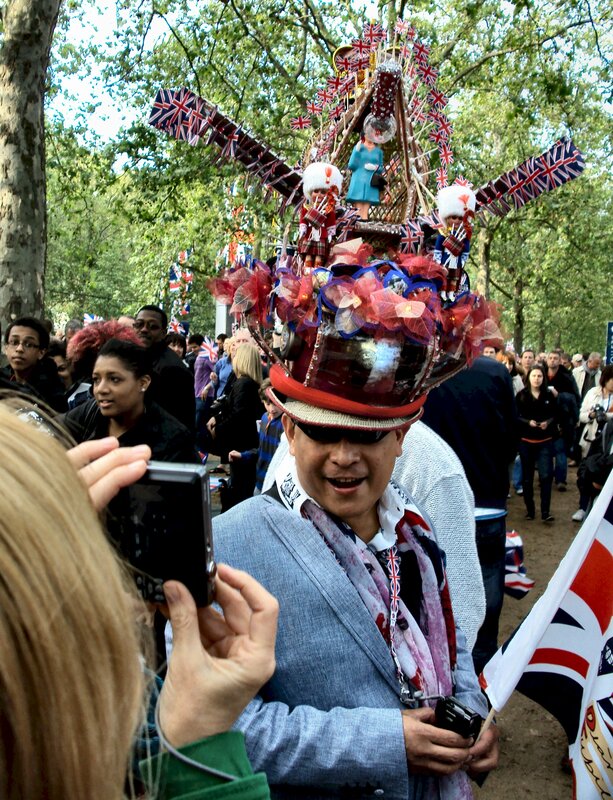 Impressive Diamond Jubilee headgear from a concert-goer :). 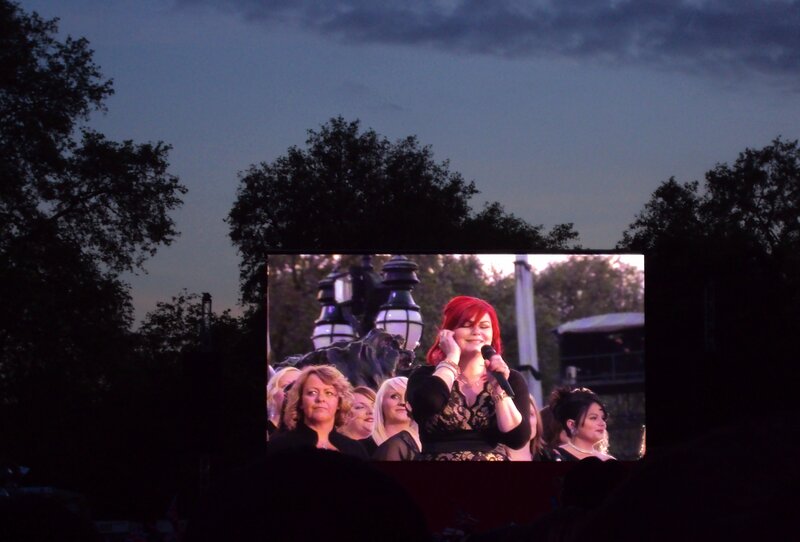 Soldiers’ wives in a performance of ‘Sing’, for me one of the concert’s highlights…on a big screen set against the dusk sky. 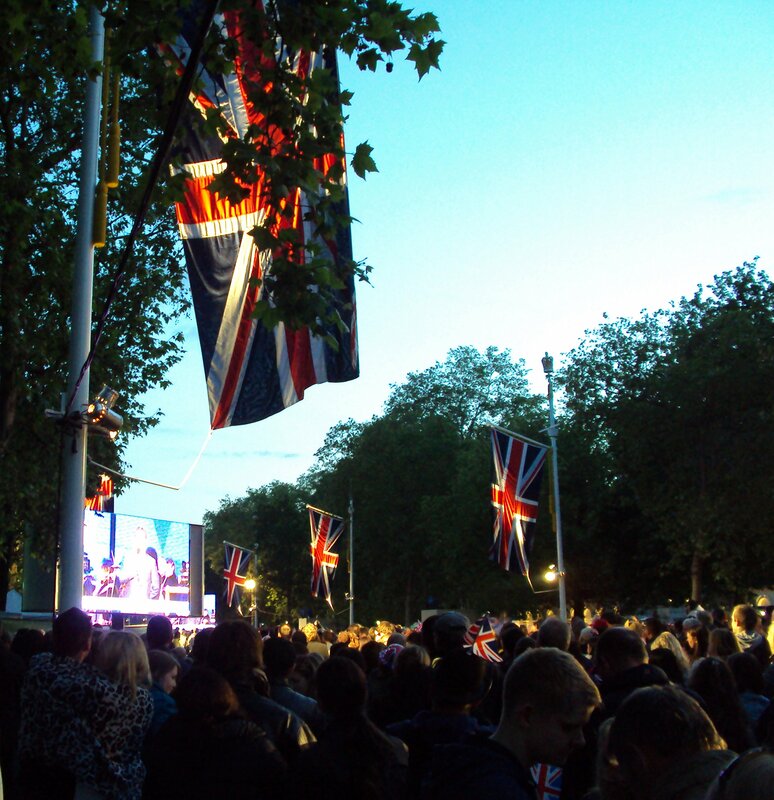 Concert-goers in The Mall towards nightfall.